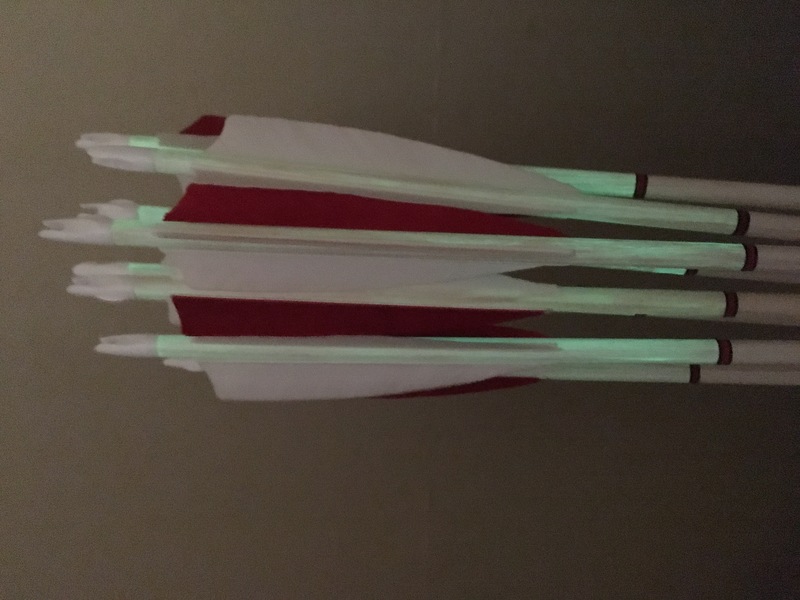 The crested arrow is a beautiful thing, with tradition going back way further than the Victorian patterned arrows that most UK archers associate with them. 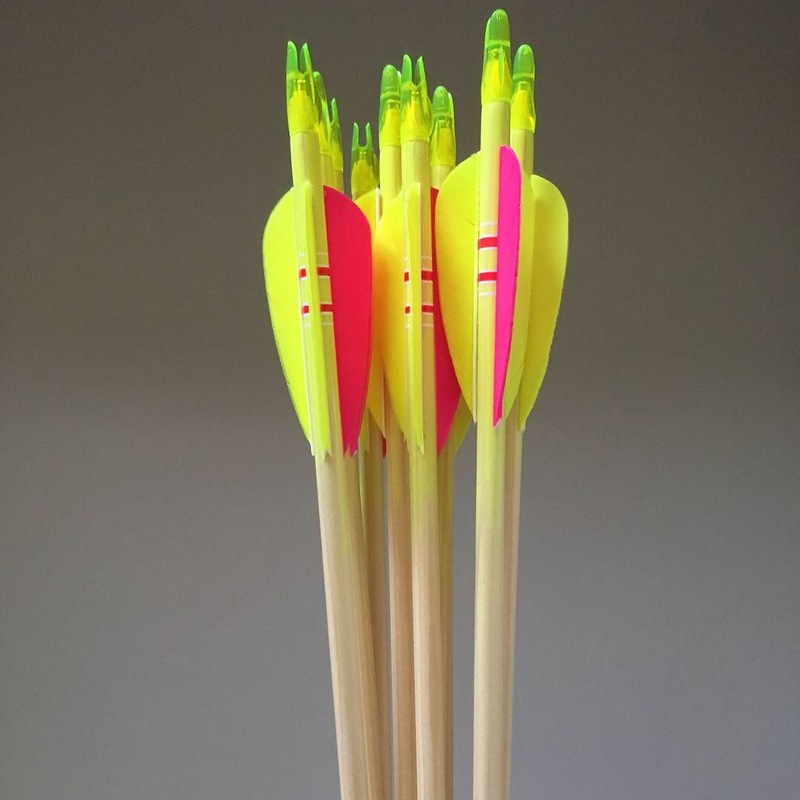 Numbering and naming has been done for many years, not least so that you can get your arrows back if someone else finds them, but it is often essential for competition shoots under Archery GB (GNAS) or NFAS rules. 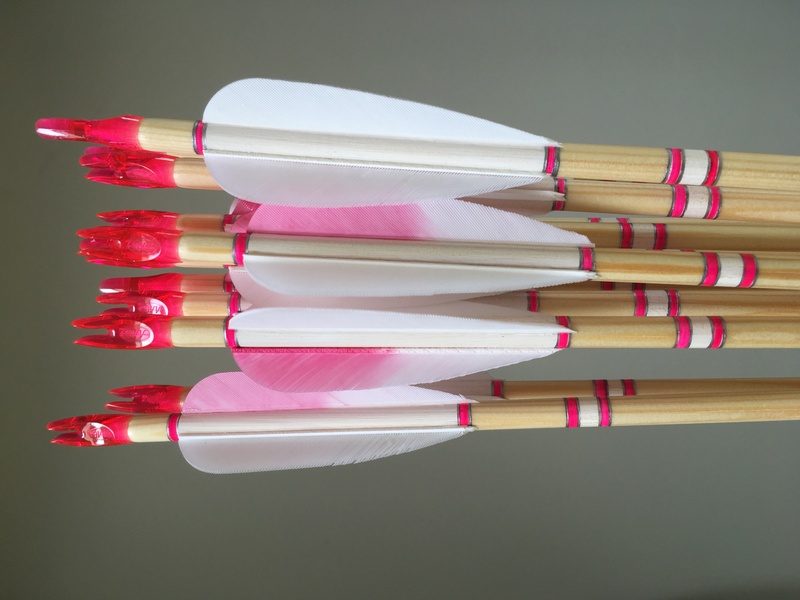 This can be done in a variety of ways, from stamping to using adhesive wraps and stickers. 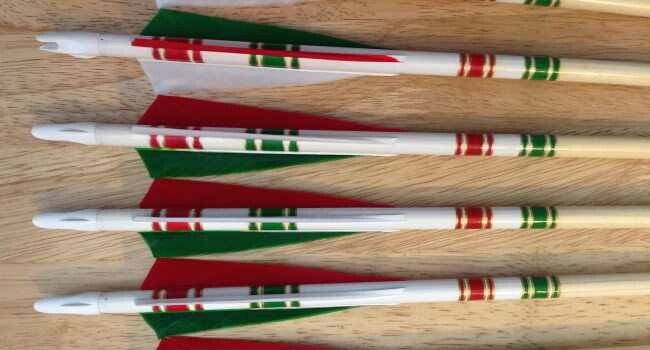 If there's a specific way you want your arrows named, let us know and we'll look into it for you. We will need your preferred option (stamping leaves a smooth profile to the shaft) and we'll also need a little extra time to order in either the stamp or the stickers. Stamp: £15 for the first order, £5 for each subsequent set. 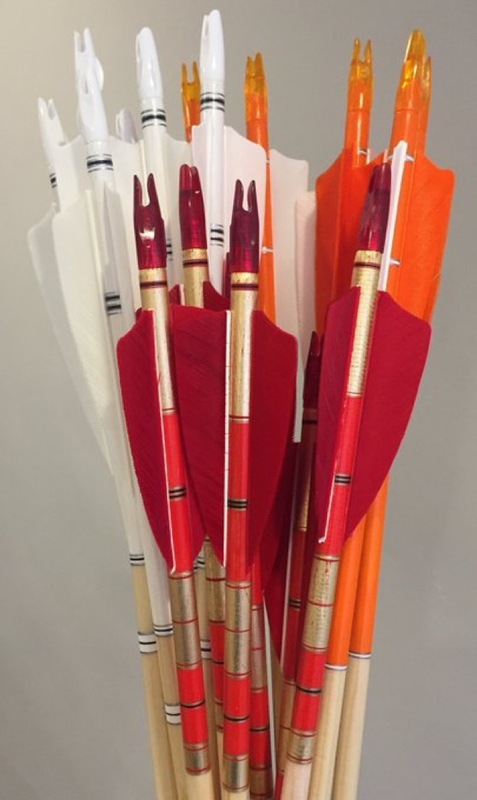 Arrows can be numbered throughout the set (1-12) or can be numbered 1-3 for field shooting, in any combination. Numbers can either be included on name stickers as above, stamped on the shaft, or for field numbering a combination of stripes or colour code can be crested (or incorporated into cresting.